Supersub - LFChistory - Stats galore for Liverpool FC! David Fairclough was virtually raised in the shadow of Anfield and was one of the chosen few who made the grade after becoming an apprentice at thirteen at Liverpool. At 17 Fairclough signed professional forms in front of the TV cameras with Bill Shankly by his side but it was under Bob Paisley that he got his chance to prove his worth to the demanding Anfield crowd who were about to enjoy unprecedented success. By scoring seven goals in eight games the local 19-year-old added fresh impetus to Liverpool's title challenge in 1976 in the same way as Ronnie Rosenthal's arrival inspired the Reds to the 1990 title. Fairclough was part of Liverpool's most glorious years but that turned out in a way to be rather a curse than a blessing as his career became anything else than straightforward. Fairclough was convinced there was no one quicker than him in the First Division and that was apparent to anyone who witnessed his incredible solo goal against Everton on the eve of the Grand National in 1976 that remains one of the greatest Merseyside derby goals and his run and knockout blow to Saint-Étienne is still talked about on Merseyside. Fairclough's main adversary at Liverpool was the club's most successful manager to date, Bob Paisley, and it is not easy for the protagonist to argue his case against arguably the best judge of player in the history of English football. When LFChistory interviewed Fairclough a few years ago he was worried that he came across overtly critical of Paisley. David has certainly no qualms about that very issue in this book and feels Paisley's treatment of him was cowardly. One can easily have sympathy with Fairclough's plight but football managers can't possibly keep everyone happy no matter how precious the talent in question is, especially when every position is filled by a quality player. Fairclough has every right to feel aggrieved as he had only one person to worry about and that was himself and Paisley became an obstacle to his progress. Injuries finally cost Fairclough his main asset which was his pace that he envisaged using on the flanks rather than being a conventional centre-forward. In 1981 Fairclough's career at Liverpool and in the top-flight was effectively over at only 24 years of age. 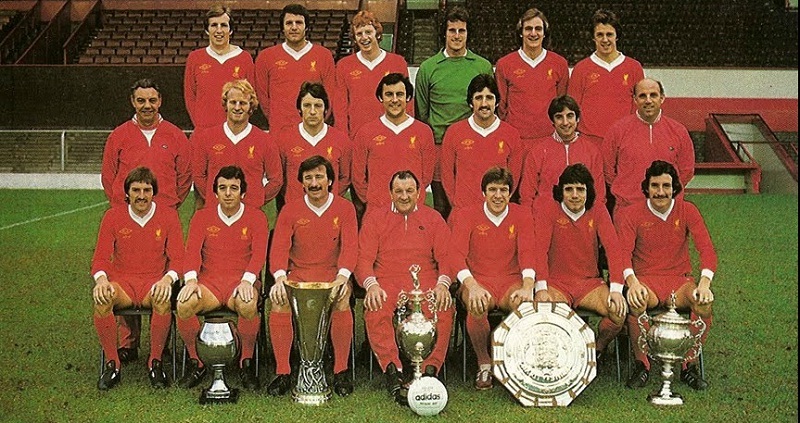 During the course of my eight years as a first-team player at Liverpool I made a total of 154 competitive appearances. With the exception of my first few months as a first-team member I honestly hated being substitute. Worse than that was being an unused substitute, and there were a further 76 occasions when I was forced to keep the bench warm for the entire 90 minutes. That would leave me feeling totally hollow and in a state of limbo. If we’d won everyone would be congratulating each other but amid the handshakes and back-slapping I was left feeling like a phoney. I’d contributed nothing meaningful to the day. I was like an outsider at a party. Even getting a shower brought with it a sense of guilt. I wasn’t dirty. I hadn’t sweated. In my eyes I hadn’t earned the right to a shower. It was ridiculous when I think back, but that’s how I felt. What do you do? Obviously, I had to get a shower because we’d have had oil rubbed into our legs pre-match. But it didn’t feel right... I just wanted to play football. Pure and simple. I was a footballer. That was my job. Ironically the book is named Supersub, a tag Fairclough hates as he became the quintessential impact player rather than a steady first-teamer but it is really the only title this book should carry. It is an interesting case study of a local hero who felt as an outsider during the midst of Bob Paisley's title-haul. David has a unique take on this time in Liverpool's history that sets it apart from other autobiographies of Reds who played during this era. In a heartbreaking final chapter he also talks about the sudden death of his beloved wife Jan in April 2011. Under Mark Platt's assured guidance, a veteran of many Liverpool books, David talks earnestly about his career that began brightly, but tailed off. Fairclough became a journeyman trying his luck away from British shores, but ultimately found his way back and is now a regular on Liverpool's TV channel. The book, published by deCoubertin Books, is priced at £18.99 and can be bought from its website, Waterstones or Amazon. my Charlie Chaplin legs and my Stanley Matthews legs."